The benchmark CFR import price of 62% iron ore fines at China's Tianjin port has pulled back from 15-month highs set early January when the commodity came within sight of $160 a tonne. On Thursday iron ore was changing hands at $148.60 a tonne – still up an astonishing 70% from its September lows. The extent of the rebound surprised many industry observers and the major producers quickly poured cold water on the notion that we’re heading back to the heady days of 2011. Sam Walsh – when he was still in charge of Rio Tinto’s ore business only – said the rally will be shortlived and Vale’s iron ore and strategy chief José Carlos Martins yesterday said he expects volatility but that the commodity should average $135 this year, the same as 2012. Further out the forecast for the price of iron ore is much less rosy. Many predict iron ore prices will return to double digits in the short to medium term – $100/t by 2015 and $90/t by 2016 predicts Roskill, a London-based mining and metals researcher. In the Pilbara, BHP Billiton’s Jimblebar expansion remains on track for first production in the March 2013 quarter and the company expects to reach a production rate of 183Mt in FY2013, up 5% from 2012. Rio Tinto is targeting production of 290Mt by early 2014, compared to 253Mt in 2012. FMG has restarted the development of its Kings deposit and remains committed to reach 155Mtpy production this year. Meanwhile in Brazil, Vale is continuing the development of its S-11D expansion, expected to add 90Mt or approximately 30% of its current capacity by 2016. And although Anglo American’s Minas Rio project is now commonly referred to as the world’s most expensive iron ore, production is nonetheless set to commence in 2015, to add an initial capacity of 26.5Mtpy to the market. These are dead certainties – if there is such a thing in the ore industry – but the number of projects in development dwarf new near-term supply. Chinese firms have invested $29 billion to sponsor 35 new entrants into the regional market, primarily in West Australia. Collectively they aim to "produce some 425 million tonnes of iron ore annually," according to the Asia Research Centre at Murdoch University. Add this to the Big 3's expansion plans and "900 million tonnes of new capacity" is on the drawing board says the centre's Jeffrey Wilson writing for The Conversation. Consider that the seaborne iron ore trade is only slightly north of 1 billion tonnes a year. On top of that China's state-sponsored expansion of its domestic ferrous mining industry also hasn't slowed down at all. Capital expenditure in China's ferrous metal mining industry raced ahead 23.7% last year to $24.6 billion. Roskill argues that attempts to break the grip of the Big 3 producers – and relative newcomer Fortescue – on the market is going to be difficult. As the prospects of projects are often linked, even promising assets are dragged down by the misfortunes of marginal players. For example, in the Pilbara the projects by Atlas Iron, Brocknam Resources, Hancock Prospecting and other entrants depend on the construction of a fourth Pilbara rail line, but with lower prices and competing expansions from established companies, such a rail line may not secure the usage to render it economic. In Africa, Rio Tinto and Vale have shifted their investment priorities away from their respective Simandou projects in Guinea. 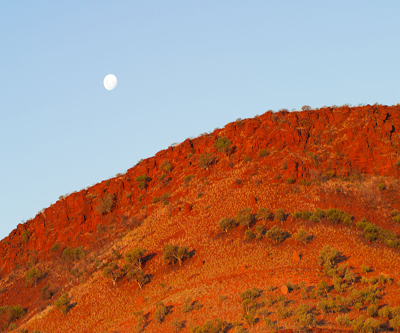 As the vision of this area turning into the next Pilbara depends on sizeable investments in infrastructure, decreased enthusiasm among these iron ore majors spells bad news for the junior companies that have seeking to invest in the region’s future. Thus, while the top players are expanding their capacity, the fortunes of iron ore juniors have reversed. The story is much the same in Brazil and beyond, and further consolidation is the likely path of the future. One region where juniors are likely to fare better is Canada's Labrador Trough. The massive geological formation boasts 78 billion tonnes of delineated resources and unlike in the Pilbara and Brazil the government is providing much of the needed infrastructure as part of Quebec's ambitious $80 billion Plan Nord.